International Customer Experience Day (CX Day) is fast approaching and the Carbon60 team is preparing to celebrate our customers and the teams that support them. 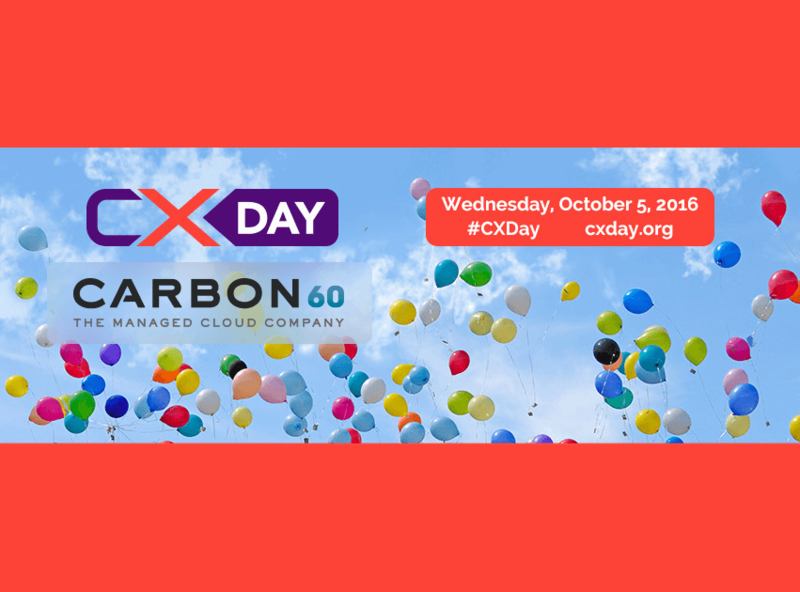 October 5, 2016 marks the 4th annual CX Day global celebration and Carbon60’s first year as an active and passionate participant. Carbon60 continues to focus on building our Customer Experience culture and CX Day is just one more proclamation that we are committed to making every interaction with our customers awesome. A core component of our customer experience program is Net Promoter® Score (NPS®). In June we conducted our first annual NPS® survey and the results were impressive. While achieving a high NPS® feels great and is something to be proud of, what’s really impressive is that so many of our customers took the extra time to provide their insights regarding what we do well, and where we need to improve. As we close the loop on these insights we get one step closer to providing exceptional customer service every day. We would love to hear your plans for CX Day, and please check back here for updates on our contribution to this global event!